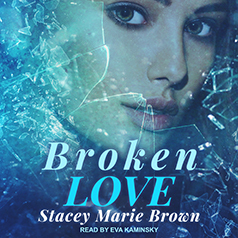 Stacey Marie Brown presents the second book in her Blinded Love series. Life shattered my bones, now it wants to break my heart. Jaymerson Holloway thought all her grief and pain were behind her. Unfortunately, life has other ideas. Leaving everything behind to follow her dreams, Jaymerson travels to Italy, where she learns to stand on her own, move on with her life, and open her heart to another. But nothing prepares her for seeing Hunter's life explode over the TV screen and watching his success, which comes with lots of women wanting a piece of The Haze. Crueler is the agony of seeing him fall in love with another. But that isn't even the worst of it. When she returns home and their paths cross, they are no longer the same people. The old animosity they once felt for each other flares the ties between them. Especially when more secrets and truths are uncovered. Like moths to flames, their undeniable chemistry continues to pull them to each other and tangle their lives together, even though it will only end in heartbreak and sorrow.